Are you looking for acquired brain injury support services that are delivered in your home? Do you need help living with an acquired brain injury? An acquired brain injury can present unique challenges and a range of complex care needs that require expert help and support. Through our decades of experience, we understand that living with this condition can be difficult, which is why we are here to help you every step of the way. Our team of dedicated carers will deliver acquired brain injury support tailored to your specific situation and needs. We can help you with everyday activities that may be too difficult to manage alone. Your carers will work closely with you to create an acquired brain injury support plan based on your individual needs. At Beacon Support we have seen first hand how brain injuries can impact each person differently and the support and care you need will depend on the extent of the injury, and whether it was caused by another condition. We also appreciate how hard it can be initially adjusting to living with an acquired brain injury, as well as on an ongoing basis. Our decades of experience and knowledge regarding these types of injuries ensures we are well-equipped to assist you. It doesn’t matter what caused your acquired brain injury, or what symptoms you are experiencing because our in-home care programs can help you. We will also work in coordination with other services if required. We are single-minded in our goal to deliver high-quality acquired brain injury support you can trust. At Beacon Support, we are focused on ensuring you feel safe and supported with expert care and understanding. Regardless of the situation, we know what to do and will approach all of your care professionally and with empathy. 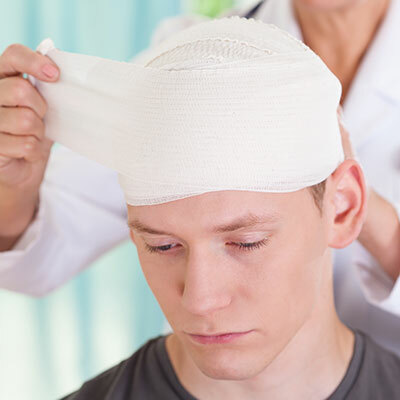 Your acquired brain injury support will also be delivered under the supervision of a Registered Nurse ensuring you receive quality and expert care. We are also a registered NDIS provider. Call us today at 1300 435 782 or contact us via our online form for a consultation or to learn more about our acquired brain injury support services.